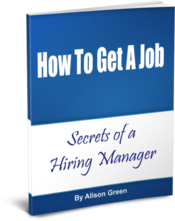 Written from my perspective as a long-time hiring manager, this ebook gives you step-by-step guidance through every stage of your job search … explaining at each step what a hiring manager is thinking and what they want to see from you … from getting noticed initially, to nailing the interview, to navigating the tricky post-interview period, all the way through your offer. To those who may be on the fence about spending the money: this book is amazing and has contributed to me getting 2 jobs (one paid internship, and a year later one full-time position.) It’s comprehensive and so, so helpful. I’m really hoping I have an offer in the pipe in the next week or two (due in large part to following advice from you throughout my hunt), but it never hurts to be prepared – for now or the next time! Bought! I second Holly – it’s totally worth it. Some of the main ideas in it will be familiar if you’re a regular reader of this blog, but there is new content that’s organized perfectly for someone prepping for an interview. I have given this book as gifts to relatives who needed job search help. It is a great resource! Could it have gone to your spam folder? In any case, if you email me directly, I’ll make sure you get it! 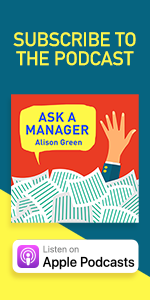 It wasn’t until I started following Alison’s advice that I got interviews. And it looks like I might have an offer – I was super prepared for that interview, again, because of Alison. Update: I just finished listening to the first Webinar with the job seekers advice and short Q&A. All I can say is WOW! The topics Alison covered touched on my most critical concerns, thereby calming many fears I had. 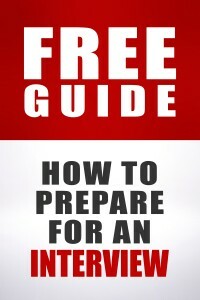 Next I’ll be reading the book, and I expect nothing less than coming away feeling more prepared and informed. Thank you, Alison. Very well done!!! I just bought your e-book and appreciate you so much Alison. I have been intending to get this for awhile. One question, if a company is not allowed to give any reference except title, salary, dates but will say you are eligible for re-hire, is that a good reference? That’s sort of a neutral reference — doesn’t raise any flags but doesn’t really add to the candidacy in any way. Most employers are going to want references who will talk to them and answer questions. This is such nice feedback to hear, you guys — thanks for saying it! 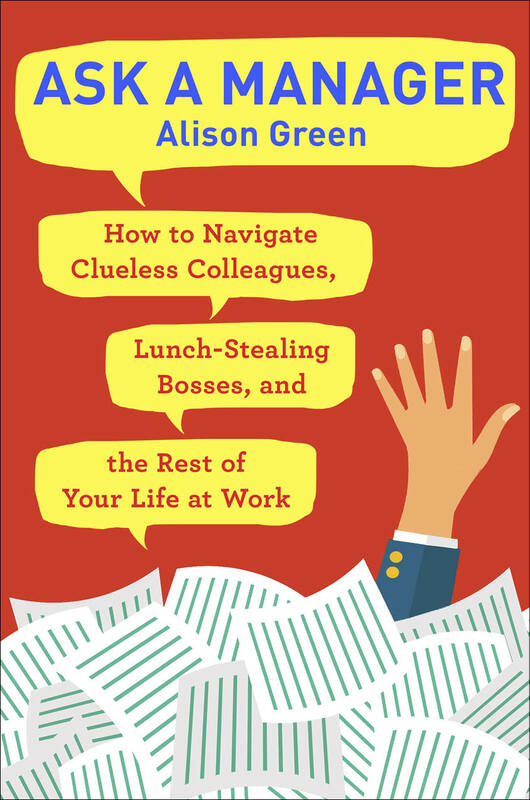 I am sooooo enjoying this book, and consider it my job hunting ‘bible’. :D You touch on so many vital topics, and succeed in addressing any issue we might be confronted with. It’s just awesome!!! I’m just wondering, if you ever revise your book, if you’re going to discuss the subject of addressing the reader of a cover letter, when the recipient is unknown. I’ve applied to 2 large corporations that require job seekers to apply online only . They provide no FAQs to answer typical questions that might arise, nor do they provide any phone numbers or email addresse, or physical address to request additional information. I even know people who work for these companies, and they are unable to provide names or phone numbers. (not sure if it’s policy or not). So, it appears they have major roadblocks in place to keep applicants from obtaining the information necessary to personalize their cover letters. Online resources say to address the cover letters to: Dear Sir or Madame; Dear Hiring Manager; Dear Human Resources, and even Dear Hiring Manager/Human Resources. One site went so far as to say don’t insert a salutation at all. It is very confusing, and because your information is always so current and appropriate for the times, I was just wondering what you’d have to say about this quandary. Sorry for being so wordy. I tried to give you as much information as possible, so you could see I tried all the typical avenues. People, seriously. Buy. This. Book. It’s the Career Bible. It’s seen me through a layoff during a recession and an out-of-state relocation during the so-called recovery. Buy it. Now. Don’t let the words ‘non-profit’ in the title scare you…it’s just as applicable for those of us toiling for profit. I bought it for my work library and I am convinced that one of our newer managers is as good as she is because she got off on the right foot by reading it as she got her first managerial job. I am about as unabashedly for-profit as they come and it works in my world, too. Just downloaded it. I’ve been lurking on the site for a few months now and I’m getting desperate to get out of my current job (just passed my 6- year anniversary, 4 of which have been spent in a salary freeze while piling on more and more duties with little to no recognition and zero chance of advancing in the company). Thanks, Alison!